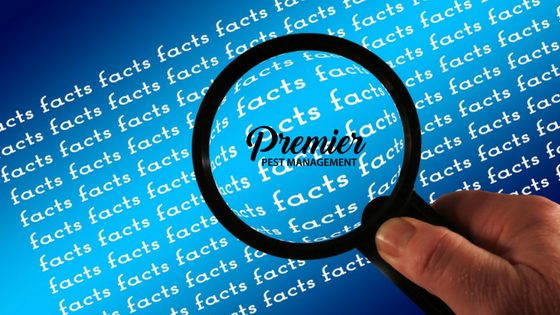 In Premier Pest Management’s experience, we’ve seen and heard a ton of myths from old wives tales, DIY methods and everything in between. We’re here to put these myths to rest and give you the insider scoop on pest control. Not all pest control is created equal, period. DIY methods are great for getting rid of a spider or moth in your home, so go for it. For serious infestations, you need a strong pest management protocol to take care of your needs. In cases such as these, it’s important to note that DIY pest control can actually make infestations worse. Myth #2: Bed bugs only live in dirty homes. Myth #2 couldn’t be further from the truth. These little pests can be found everywhere, and we mean everywhere. From the grungiest hotel rooms to the most expensive and executive style homes. Bed bugs are not drawn to dirt, grime or garbage which is why their favourite places to take up residence spans such a wide scope of locations. They’re really only attracted to blood, meaning you, so will follow humans anywhere they go. Bed bugs don’t mind if your place is sparkling clean or overflowing with trash, they will take up residence. Myth #3: Rodents don’t cause any harm. Many individuals believe rodents don’t pose any serious risk to humans which is 100% wrong. These guys are dangerous critters, that can cause a ton of problems for you, your family and your home. Rats and mice both have characteristically sharp teeth, enabling them to chew anything they can get access to. Electrical cables are a favourite for mice and rats, and their chewing on them can lead to an increased risk of fires. These issues are only just the beginning, as they also carry a long list of parasites, bacteria, and viruses that can jeopardize you and your loved ones. Myth #4: I don’t need a professional unless the problem is serious. Thinking that a pest problem will disappear on its own is one of the worst mistakes you can make. Sighting a mouse, a bed bug or a cockroach, doesn’t seem like a big deal, right? Wrong! By the time you notice the first signs of an unwanted guest, there is a good chance you’ve already got an invasion of intruders. To avoid an out of control infestation, give us a call at the first sign of even the slightest pest problem. Myth #5: Professional pest control treatments are dangerous. Years ago, pest companies used harsh chemicals to get rid of critters just like many other industries. Much like anything else, as the research and knowledge grew for the side effects of these chemicals pest management companies have adapted to come up with safe, and effective options. Premier Pest Management provides these effective and safe options to protect your family. When it comes to pest control, it pays to get your facts straight. Premier Pest Management is here to help the Regina area with their pest management needs.